Leeds is generally recognised as the second most important legal centre in the UK and is home to some famous old firms such as Addleshaws and Dibb Lupton. Those two law practices would be the amongst first calls for the powerful and wealthy who could afford the best, and most expensive lawyers, housed in plush city centre offices. Such clients would, accordingly, expect top class professional advice, court procedures followed to the letter and a successful outcome. Those of us less well off might have to set sights lower and hope to chance upon a reliable, if less well known firm, such as Lester Morrill, that would be sufficiently competent to ensure that our legal interests were properly protected and a satisfactory outcome secured. Someone down on their luck, however, might chance upon the dispute resolution team at Cohen Cramer and end up regretting that choice: Poorly judged representation, rules and regulations treated with disdain, money frittered away, an adverse result and a further stain not only on Cohen Cramer’s tarnished reputation but, potentially, damage to your own as well. Cohen Cramer came into existence in 2008 following a merger between two local law firms, Howard Cohen & Co and Cramer Richards. The former appear to have been best known as a bulk debt collecting firm operating from a PO Box in Cleckheaton, the latter a sports reputation management specialist. At the time of the merger, joint managing partner Richard Cramer said: “We’ve joined forces to give more to our clients. The expertise we each have complements the other perfectly“. Mr Cramer is no longer associated with the firm that bears his name. The other principal figure in the merged operation, Howard Sidney Cohen, is no longer around either. His licence to practice expired in May 2014. Mr Cohen does, however, still describes himself as ‘Lawyer’ and Trustee to the troubled Shadwell care home, Donisthorpe Hall. (Full list of trustees and their roles here). The care home has just been rated as ‘inadequate’ by the CQC for the second time in six months and has been subject to criticism, some of it damning, for almost two years. This, in spite of repeated promises of appropriate remedial action by Mr Cohen and his fellow trustees. Full story here. The former Cohen Cramer lawyer should not be confused with Howard Cohen, a practicing partner in Winston Solicitors LLP, another Leeds law firm. Following the merger, the enlarged firm boasted nine partners, thirty lawyers and twenty support staff. The total Cohen Cramer staff complement at the time was over seventy, according to the entry they submitted to the UK Legal Directory (read here), and after they had moved to substantial premises close to the law courts in Leeds. Since May 2014, they have been housed in a converted tailoring factory further away from the city centre. According to the Solicitors Regulation Authority (SRA) website there are now just eleven lawyers remaining (full list here). Two of whom have only very recently qualified. Another, Mike Massen, joined Cohen Cramer in June 2014 when Gartons Solicitors was taken into the Cohen Cramer fold. Four of the lawyers are listed at Companies House as Directors of Cohen Cramer Limited – Simon Baskind (also listed as Company Secretary), John Goodwin, Michael McDonnell and Emma Mason. The firm’s website page featuring these four is oddly vacant, apart from a stylish monochrome photograph (see here). The exodus of key staff including, it seems, eighteen lawyers and five partners, might go some way to explaining the present state of their finances, as shown in the latest Cohen Cramer Ltd published accounts (read in full here). The money owed to the firm’s creditors is a staggering £3,654,839 (including longer term debt of £288,833) and there is a net current deficit of £951,605. Uncollected debts amount to £2,140,194. Also, the concept that the Cohen Cramer name might still be worth over £2 million on the open market (presumably calculated as the sum of the respective sale and purchase valuations of Howard Cohen & Co, Cramer Richards and Gartons) might well confound some banking and accountancy experts. Especially now, in the notable absence of the two eponymous founding fathers and former managing partner, John Grant, who left Cohen Cramer in October 2012. Mr Grant had been with Howard Cohen & Co since 1987 and built up a specialist, and highly regarded, dental industry law practice. He is now a partner of rival firm, Goodman Grant, based in Leeds city centre. Stewardship concerns were also raised regarding the absence of a profit and loss account. The Directors are, of course, entitled to rely on a Companies Act exemption for not publishing such figures. One of the financial experts described the firm’s accounts as a “shambles”, the other said that publication of this article would be “devastating” to Cohen Cramer Ltd, unless they were able to show that their financial position has improved dramatically. Or, that the company was able to reverse the exodus of key fee-earners. A partner in a well-known, award-winning, firm of solicitors in Leeds told me: “The city has suffered a string of law firm failures. Fox Hayes being the highest profile (read more here) – and I wouldn’t be surprised to see this one join them”. Three of the solicitors who do remain with the firm are described on the Cohen Cramer website as “partners”: Karen Cawood, David Hall and the same Emma Mason who is also listed as a Director. With whom they are in partnership, and to what practical or financial purpose, is not made clear on the Cohen Cramer website. Clarification was sought from each of the three “partners” on 28th March, 2016 regarding their roles. Six weeks later, a response is still awaited from all three. One of those “partners”, Mr Hall, works in the Cohen Cramer Disputes Team that is a principal focus of this article. 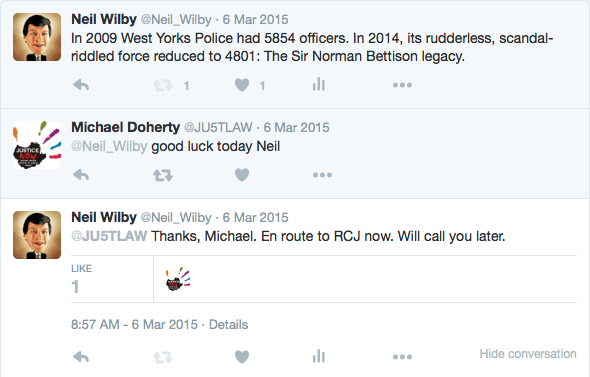 He is certainly not listed as a partner on the Law Society database. As can be clearly seen in the image above he is an “associate”. A legitimate concern is that public sector clients may be charged a higher rate on the premise of seniority by a ghost “partner” in Cohen Cramer. Apart from Mr Hall, there are only two other employees listed on the firm’s website as working in that department: The aforementioned Mr McDonnell and Gemma Bowkett, who started out with the firm in 2012 as a graduate assistant and was admitted as a solicitor in November, 2015. Until a year ago there was another member of the Disputes Team who was, arguably, better known than all the other three, put together. The antics of the now notorious Emily Slater brought adverse publicity to not only Cohen Cramer, but to the wider legal profession. She was the subject of a highly destructive article in the Daily Mirror following the unlawful arrest of a defendant in a civil claim. The calibre of her legal work was criticised by judges, in open court, on at least four occasions. Mainly around failure to observe due process. 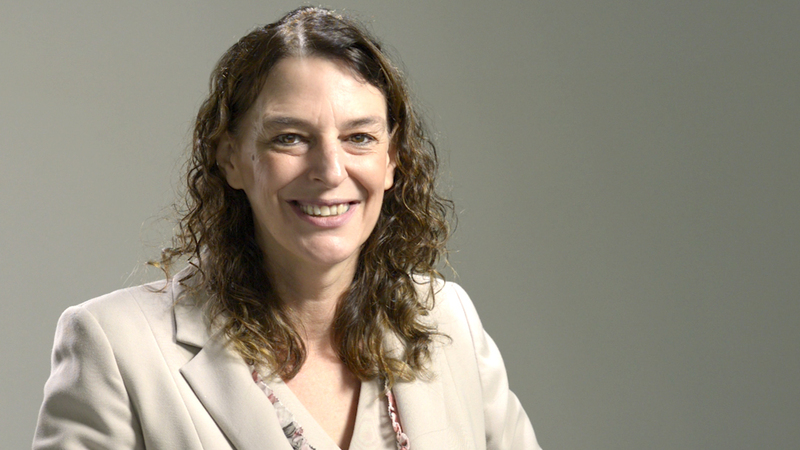 She is the principal subject of a relentless and devastating blog run by one of her legal ‘victims’, Stuart Brown. The high profile cases in which she was involved all appeared to end in failure for Cohen Cramer, their clients and herself. That is a damning indictment of any law professional – or firm – and, given the scale and scope of the complaints against him and his firm over a long period, it is reasonable to infer that Mr McDonnell may have come close to being struck off. Emily Slater left Cohen Cramer in January 2015 and, according to the SRA website, she has not practiced as a lawyer since. 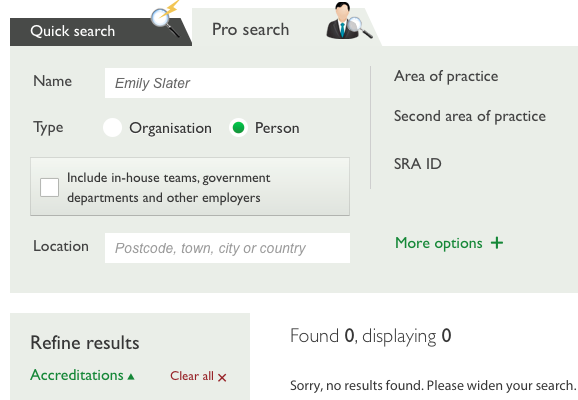 One report on the internet, that states Miss Slater was ‘fired‘, stands unchallenged by either her, or her former employers, over a year later. A further clue as to the professional demise of Miss Slater comes from a short examination of the conduct of one of the other two solicitors who is under Mr McDonnell’s supervision in his Disputes Team. Ghost “partner” David Hall, in the six years he has worked with Mr McDonnell, has clearly absorbed the unscrupulous culture prevailing in Cohen Cramer’s Disputes Team. Mr Hall regards Civil Procedure Rules and Practice Direction as little more than a rough guide to litigation. His incompetence, exposed in open court, may yet become a legal ‘Hall-mark’, so to speak. Similarly, his wearisome belligerence and arrogance. These, significantly, were also the signature traits of the severely criticised Emily Slater. Since this article was first published, a number of people have come forward with evidence of conduct by yet another Cohen Cramer employee that falls well below the required ethical and professional standards. This new material concerns Sarah McKell, who works in the firm’s POCA department . Curiously, her LinkedIn profile describes as a ‘senior lawyer’ having joined the firm in November 2014 (her fourth job in seven years) but her name doesn’t show up on the Law Society database either individually, or as part of Cohen Cramer’s complement of admitted solicitors. Clarification on this point – and others concerning supervision, oversight and, potentially, passing off – has been sought from both the troubled firm and from Miss McKell. The firm’s website says: ‘Sarah has been working in the legal profession for over 10 years, gaining experience in a wide range of areas of law’. Which, on what I have been able to uncover, appears to be a stretch of the truth. On the written evidence I have seen, Miss McKell admits to a client, who recently fired her, that she had let them down professionally and personally. There is also no trace of letters setting out terms of engagement or client care in the file. Nor is there a letter ending the arrangment. Miss McKell withdrew her services via text message from her mobile phone. Moreover, and more crucially, Miss McKell conceded that she had ‘badly advised’ that client, with near disastrous consequences. On the same day that Sarah McKell’s shortcomings were identified in this article her Facebook profile was taken down. Having looked at her timeline previously, the reason could have been some of the more colourful language on display that was hardly becoming of a ‘senior lawyer’. Miss McKell’s LinkedIn profile was also amended within 24 hours of naming her – and the reference to ‘senior lawyer’ removed from her profile. Those two events could, of course, be unconnected to my own enquiries. That Cohen Cramer and Mr McDonnell will ensure that they allocate sufficient resources to the supervision and management of the firm so as to satisfy the SRA that they are able to meet all their obligations under the SRA handbook. The firm will as soon as reasonably practicable notify the SRA of any material change in the supervision arrangements. Both Stuart Brown and I are confident that we can demonstrate beyond any doubt, simply by reference to court documents and the like, that the Cohen Cramer litigation leopard has not changed its spots and, as far as conducting legal disputes is concerned, matters have worsened, not improved, since the SRA investigation. When first approached for comment, Simon Baskind, the Managing Director of Cohen Cramer Limited (and described as ‘Owner’ of Cohen Cramer on his LinkedIn profile), claims there are a number of ‘factual errors and misrepresentations within (my) articles’. Despite being pressed, he has refused to particularise his assertions. He also offers the view that my publications (this one and an article titled Hangin’ on a telephone wire) are ‘malicious’. But, again, offers no particulars in the face of an invitation to do so. Mr Baskind has also refused to answer why he believes that a fit-for-purpose report that highlights the practical and regulatory failings, and precarious financial position, of a law firm receiving funding from the likes of the Independent Police Complaints Commission (IPCC) is not a public interest matter. More particularly, he has refused to provide any substantiation, or clarification, to the questions I have raised about his firm’s unaudited financial figures that are one of the two central points of public interest raised by this article. It has been made clear to Mr Baskind that if he provides the figures for the period ended 31st December, 2015 – and they are substantially different from the 2014 version – they will be reported upon accordingly. Mr Baskind is similarly silent on the ‘ghost partners’ issue, but a footnote on their website says that ‘partners’ are so described to reflect their status within the firm. The questions concerning Miss McKell’s status and unethical conduct have also, so far, been ignored completely. As have those concerning supervision and his own self-evident stewardship and oversight failings. ‘Stonewall Simon’ is now on notice that if he continues to unreasonably block my questions, or my request for an interview, I will exercise my journalists’s discretion to doorstep him. Comment has been sought from the IPCC as to the type of checks made by them over the financial position of a law firm with whom they are believed to have spent around £150,000 – and also the track record, status and supervision arrangements of the three lawyers who have, so far, carried out the work on the IPCC’s behalf. Not to mention the antics of ‘senior lawyer’ Sarah McKell. The press office at the Solicitors Regulation Authority have, helpfully, provided comprehensive responses on regulatory and financial questions put to them about intervention thresholds where conduct may breach a previous settlement, or there are concerns about the financial status. In contrast, but unsurprisingly, the IPCC have not had the courtesy to acknowledge the emails sent to them and to their Northern area press officer, Diane Bramall.